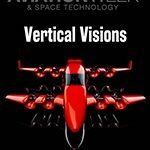 HopFlyt Venturi is the only aircraft combining variable incidence wings & canards with channels, distributed electrical propulsion (DEP) and contra-rotating propellers in an electrical Vertical Takeoff & Landing (eVTOL) design. The use of these advanced technologies in our patent pending design will deliver superior speed & ride quality for passengers at lower battery consumption rates while reducing exhaust pollution. The HopFlyt Venturi (Alpha 1) Hover Test was performed in January 2018. 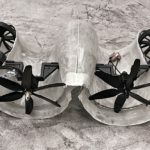 It was the third in a series of hover tests used to demonstrate Venturi’s performance, the hover efficiency of a variable incidence channel wing design and the software enabled control method. Venturi A1 (a.k.a. 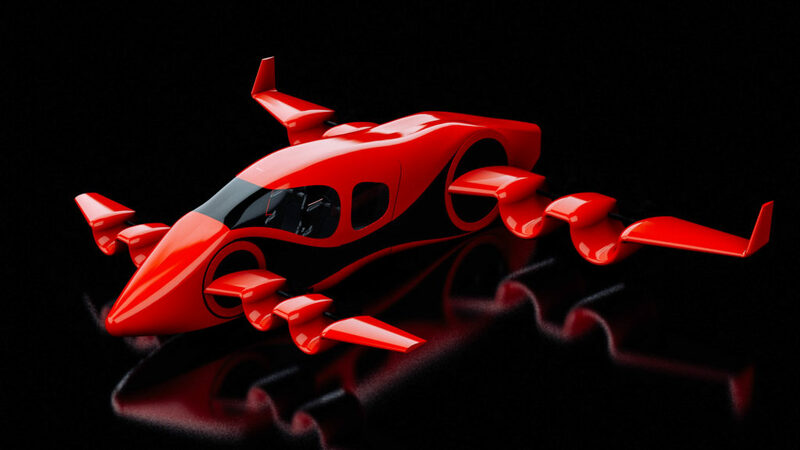 “Alpha One”) was updated through two iterations to Venturi A3. 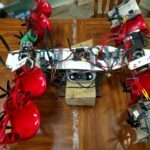 The motors, propellers & wing tilt mechanisms were upgraded. Additionally, the software was also modified to support aircraft control via wing & canard tilting. 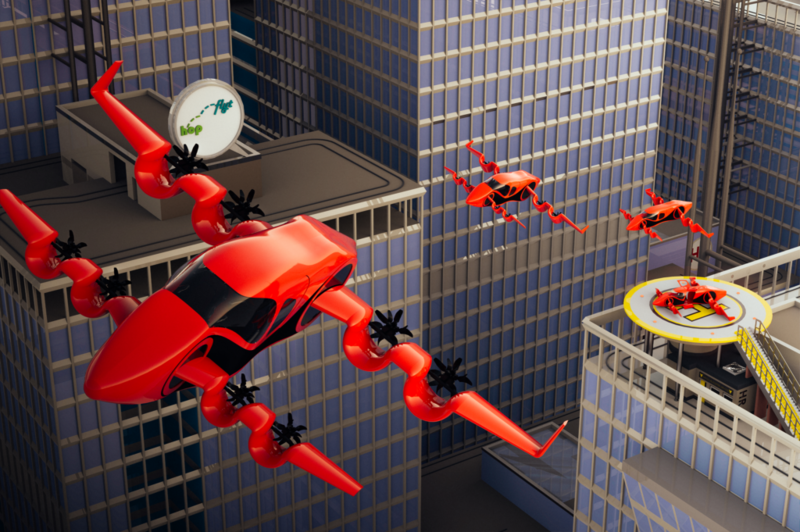 Forward Flyt Tests commenced on December 1st, 2018. Venturi Alpha Three weighs 12.3 lbs and produces over 28.5 lbs of thrust at full throttle. Estimated forward Flyt speed is 60 mph. 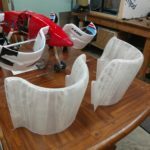 Flyt-testing is still on-going as the HopFlyts expand the Venturi’s Flyt envelope. 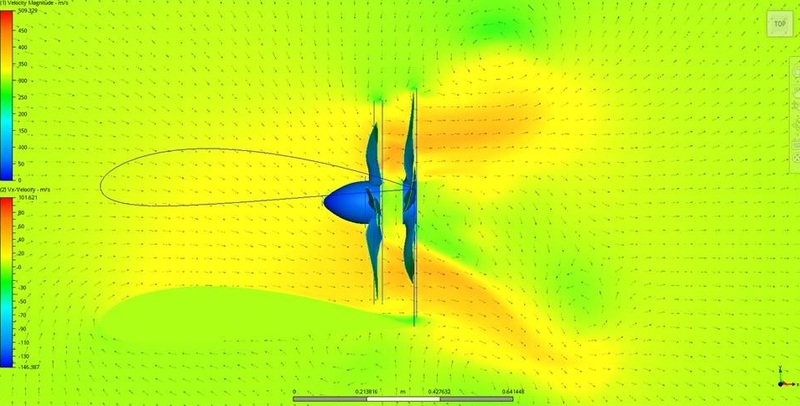 Venturi A3 is conducting tethered hover Flyt-Test to determine Max Performance. During these tests the aircraft is attached to the ground and throttle is increased to full power. The tension in the tether is measured along with the Venturi’s weight, battery discharge power and rotor RPM. These data are then used to calculate Thrust Loading (i.e. Thrust per Watt) and Figure of Merit, which assesses power efficiency. Results will inform current design choices and scaling for larger aircraft. 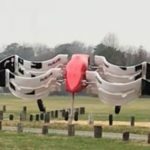 By using variable incidence wings & canards with channels, Venturi achieves wing-borne lift while hovering, which significantly reduces its battery power consumption. Combining these technologies with DEP reduces mechanical complexity by removing traditional flight control surfaces (i.e. ailerons, elevators, rudder and flaps). This reduces weight, improves reliability and reduces maintenance while allowing the aircraft to takeoff and land vertically. 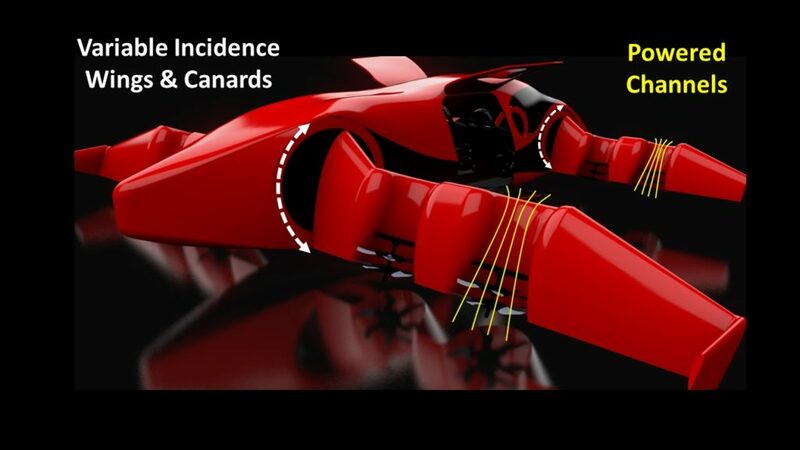 Wings and canards can vary angle in-flight and improve ride quality by keeping the fuselage at a level attitude during all phases of flight. 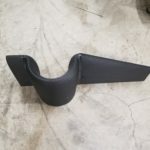 The powered channel wing design creates high levels of lift by efficiently accelerating air over the wing resulting in longer battery life. 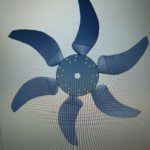 While the contra-rotating propellers produce more thrust and reduce noise. 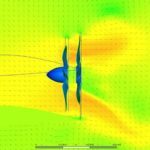 Control of the Venturi is provided by Distributed Electrical Propulsion (DEP) and the independently variable incidence wings and canards. HopFlyt Venturi with wings tilted up in takeoff configuration and doors open for passenger loading. 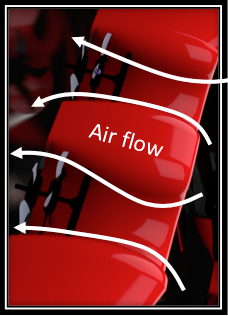 Air is drawn into the channels by the contra-rotating propellers. 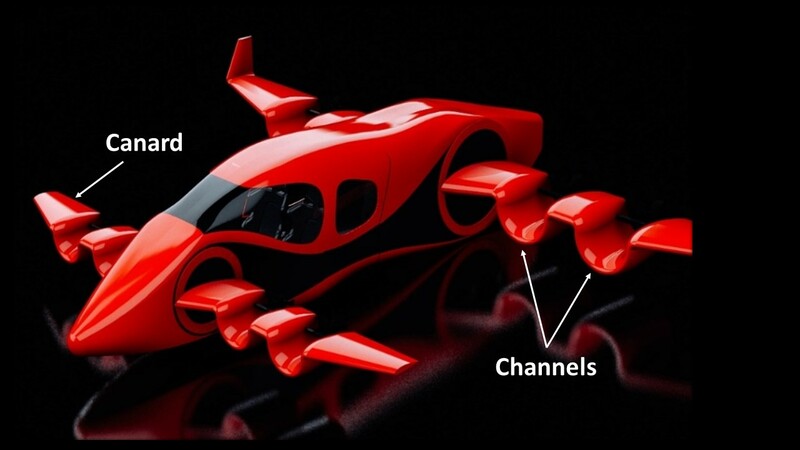 The channels have an aerofoil shape, which generates high levels of wing-borne lift as the air is accelerated through the channel, even when the aircraft has zero forward airspeed. These high levels of lift have been demonstrated through flight test & NASA wind tunnel data on other aircraft. Additionally, the design reduces complexity, total parts count and aircraft weight, which further boosts the design efficiency. 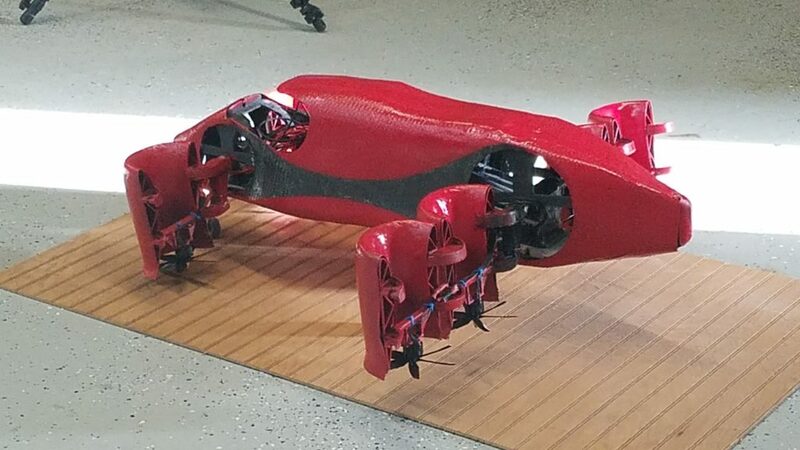 HopFlyt has completed a prototype build of the Venturi and started early stage flight test in order to demonstrate the variable-incidence and channel wing technology. 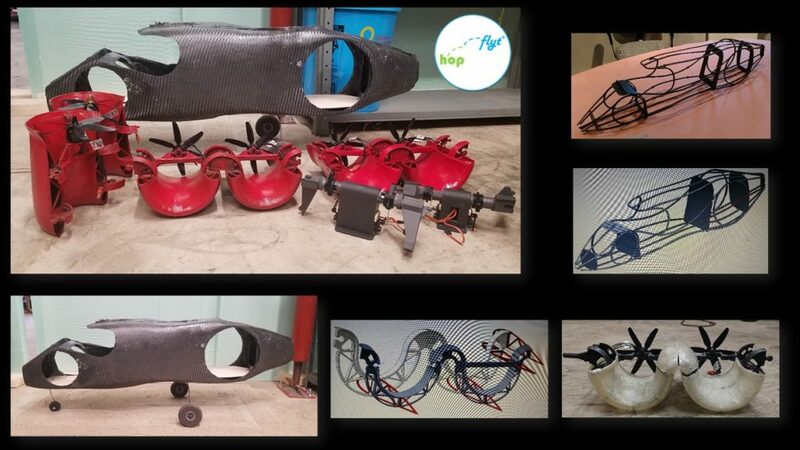 The aircraft fuselage and wing components are 3D printed from engineering drawings and skinned with carbon fiber. 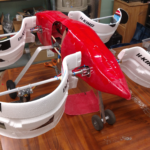 The HopFlyt Venturi subscale prototype just before first ever flight test! 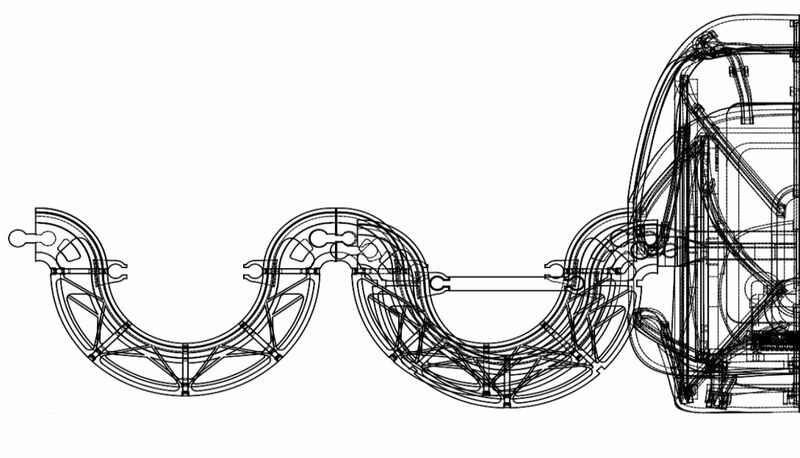 The Venturi starts life as a CAD file drawn up by our Mechanical Design Lead. 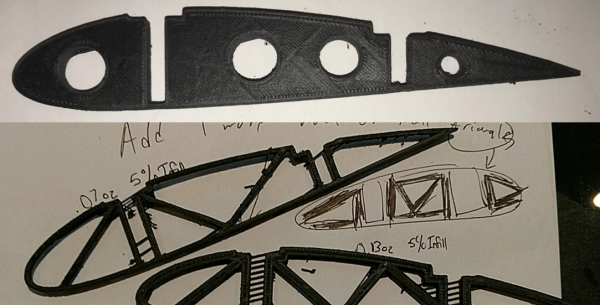 The CAD file drawings are scaled to the project size requirements before being 3D printed. 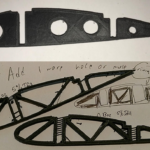 Thus the component structures turn out just like the engineering drawings. 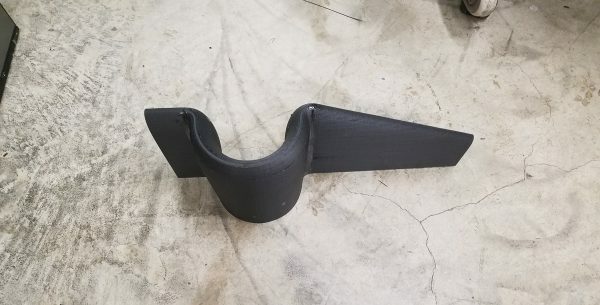 HopFlyt 3D printed wing ribs for Venturi subscale channel.